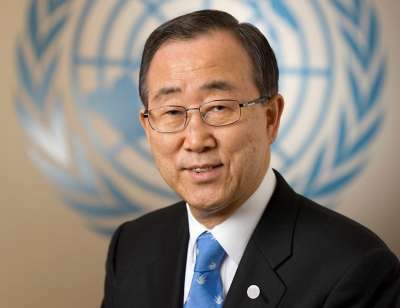 SEOUL, Feb 20 2018 - Dr. Ban Ki-moon, 8th Secretary-General of the United Nations (UN) has been elected as the President of the Assembly and Chair of the Council of the Global Green Growth Institute (GGGI). Dr. Ban will begin his two-year term in office as GGGI’s President and Chair on February 20, 2018, taking over from H.E. Dr. Gemedo Dalle, Federal Democratic Republic of Ethiopia, who undertook his duties as Acting President of the Assembly and Chair of the Council in July 2017. The appointment of Dr. Ban Ki-moon as the new Assembly President and GGGI Council Chair became effective today following the unanimous agreement by Members of the GGGI Assembly, the Institute’s supreme governing body. effective. Dr. Ban worked closely with member states of the UN to shape the 2030 Agenda for Sustainable Development and to establish UN Women, thereby advancing the UN’s work for gender equality and women’s empowerment. Dr. Ban has also taken major efforts to strengthen UN peace operations, protect human rights, improve humanitarian response, prevent violent extremism and revitalize the disarmament agenda. “I’m delighted to have been elected as the new President of the Assembly and Chair of the Council of GGGI and am willing to contribute to promoting green growth and sustainable development around the world. I will also try my best to fulfil the expectations of the international community in this regard,” said Dr. Ban. Dr. Ban Ki-moon’s dedication to tackle global challenges, including climate change, water scarcity, energy shortages, food security and global health is aligned with GGGI’s objectives. With its four thematic priorities on Sustainable Energy, Water and Sanitation, Sustainable Landscapes and Green Cities, GGGI is dedicated to supporting countries in their transition to low-carbon and climate resilient development pathways – what is called “green growth”. At the time of his appointment at the UN, Dr. Ban was Minister of Foreign Affairs and Trade of the Republic of Korea. His 37 years with the Ministry included postings in New Delhi, Washington D.C., and Vienna. He was responsible for a variety of portfolios, including Foreign Policy Adviser to the President, Chief National Security Adviser to the President, Vice Minister, Deputy Minister for Policy Planning and Director-General for American Affairs. As part of the role of as President of the Assembly and Chair of the Council, Dr. Ban will chair GGGI’s 11th Council and Assembly meeting in the fourth quarter of 2018.